'If you've got a bad deal,' Anton's father used to say, 'get out of it and move on.' And that's what Anton does when he decides to walk out of the orphanage and up the gangplank of a ship, heading for the land of sunshine and steaks. A remarkable story of friendship, family and c... read full description below. 'If you've got a bad deal,' Anton's father used to say, 'get out of it and move on.' And that's what Anton does when he decides to walk out of the orphanage and up the gangplank of a ship, heading for the land of sunshine and steaks. A remarkable story of friendship, family and courage from the author of A Different Dog. 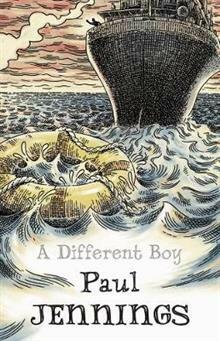 Paul Jennings has written over one hundred stories and has won every Australian children's choice book award. Since the publication of Unreal! in 1985, readers all around the world have loved his books. The top-rating TV series Round the Twist and Driven Crazy were based on a selection of his enormously popular short-story collections such as Unseen! In 1995 he was made a Member of the Order of Australia for services to children's literature and he was awarded the prestigious Dromkeen Medal in 2001.